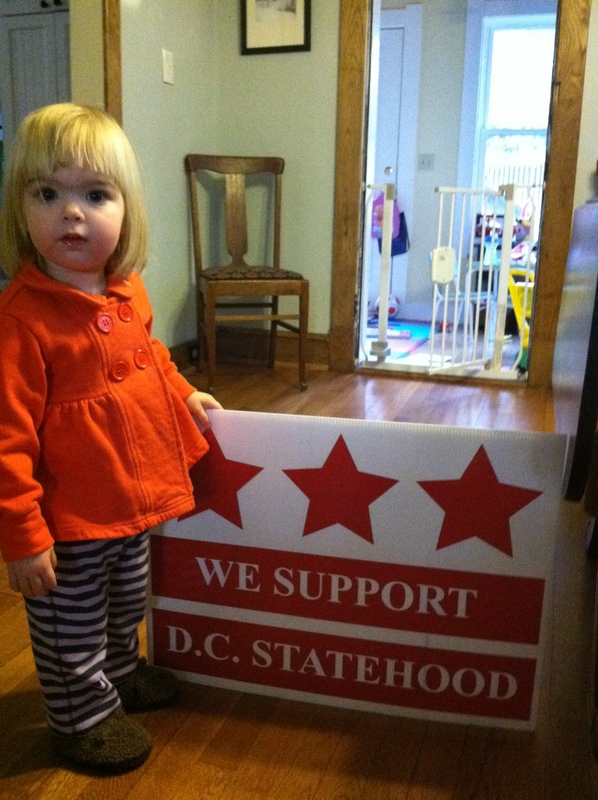 Neighbors United for Statehood is a group of District citizens who believe that through grassroots community organizing and strategic congressional outreach we can be the foundation and driving force behind the DC Statehood movement. Our strategy is to work neighborhood by neighborhood educating and organizing small groups at a time to build a sustainable movement for statehood. These groups work to recruit their friends and neighbors while also targeting members of Congress for sustained outreach and lobbying focused on statehood. In addition, to hosting statehood talks in living rooms or to civic groups, we are currently doing outreach to local businesses to make sure they are partners in promoting the statehood cause. Group members also partner with the DC League of Women Voters to travel around the country to give talks on D.C. statehood to groups in the 50 states. Our core belief is that only when average District citizens take ownership of this cause will it finally become a reality. We welcome you to join our work with and on behalf of 700,000+ disenfranchised District citizens. To join our mailing list go here.